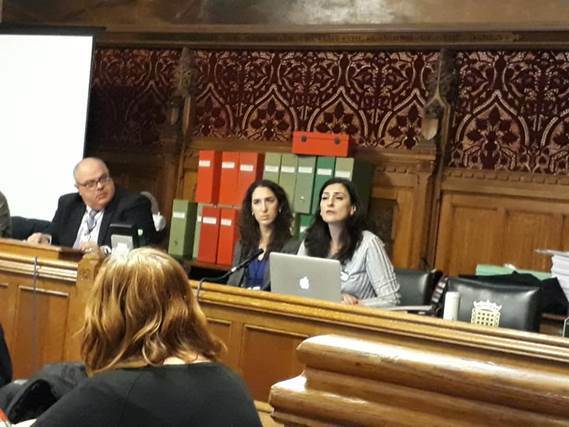 On 28 November, BADIL in cooperation with the Palestinian Solidarity Campaign (PSC) engaged in a lobbying day with many MPs of the UK Parliament in Westminster, London, United Kingdom. The lobbying event was organized by PSC and their network of partners, reaching over 600 parliamentarians from different parties including the Scottish National Party, Green Party, Labour Party, and the Old Party. 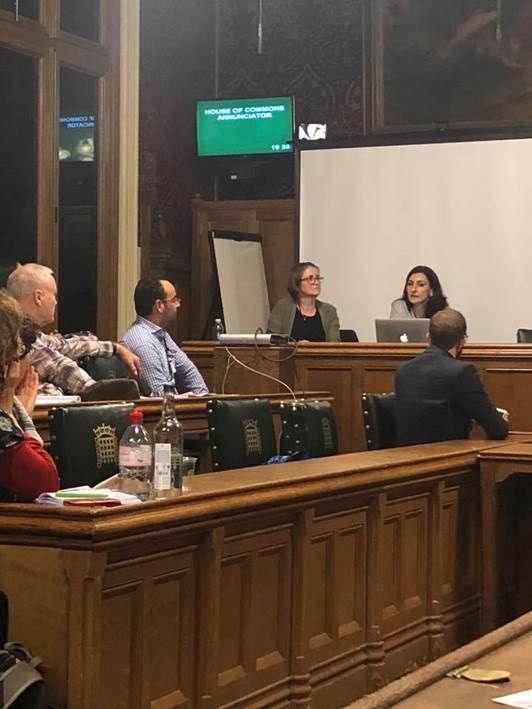 BADIL participated in a panel discussion with representatives from War on Want and the UK National Education Union, as well as an evening rally at the end of the lobbying sessions. BADIL’s interventions focused on strategic solutions to confront the US strategy to cripple UNRWA and the responsibilities of states, particularly the UK, to hold Israel accountable for its systematic and widespread human rights violations and international crimes against the Palestinian people. BADIL reaffirmed that mere statements and symbolic recognitions are not sufficient and that it was time for the international community to take practical steps to bring Israel into compliance with international law and fulfil their obligations as third party states.